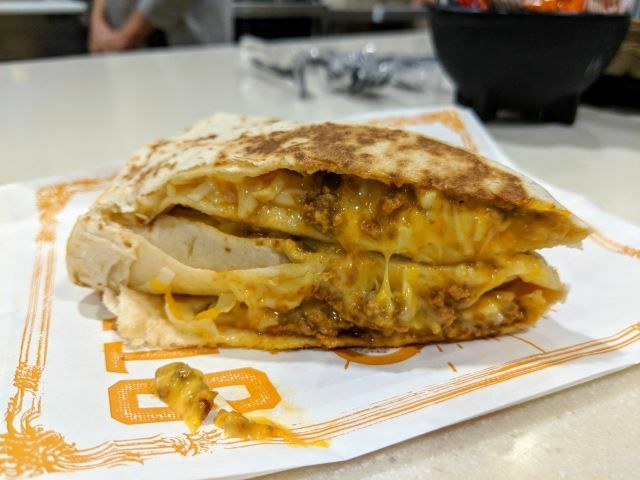 The $1 Stacker features seasoned ground beef, nacho cheese sauce, and three-cheese blend folded in a flour tortilla and grilled. The filled tortilla is then itself folded into a triangular shape. The $1 Breakfast Stacker is much the same except with scrambled eggs replacing the seasoned ground beef. Essentially, both items are tri-folded quesadillas. 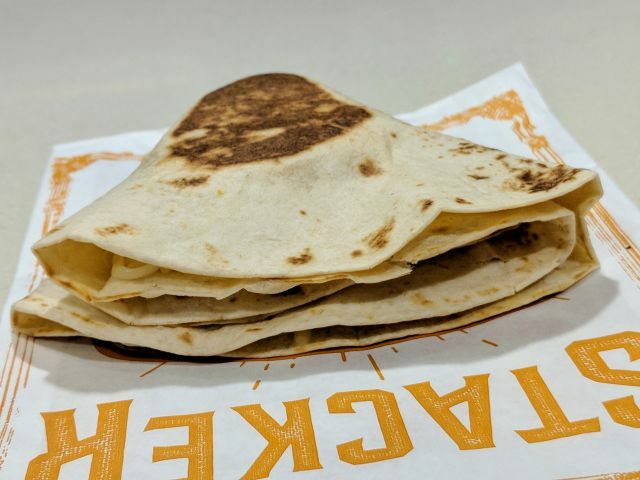 If you're familiar with Taco Bell's Cheesy Roll-Up, the effect of folding the quesadilla provides a similar experience although you get more of a crispy crust with the Stackers. Both versions offer a good amount of cheesiness with the nacho cheese contributing just a touch of spicy heat. 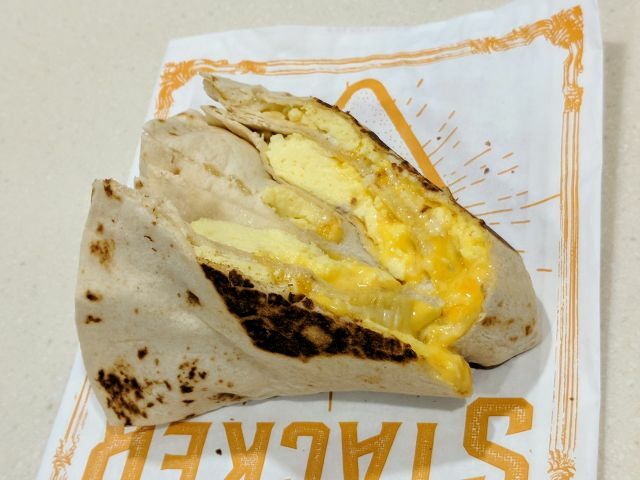 The Stackers differ from Taco Bell's standard quesadilla in that the nacho cheese stands in for creamy jalapeno sauce. The egg of the Breakfast Stacker was fluffy and plentiful. Combined with the cheese and flour tortilla, it felt a little plain but you can add bacon or sausage for an extra 49 cents. I'm a fan of Taco Bell's seasoned beef so the $1 Stacker is definitely my choice between the two. The beef and cheese pairing is a very familiar one for Taco Bell but it didn't disappoint. Overall, both Taco Bell's $1 Stacker and $1 Breakfast Stacker are tasty enough but don't bring much in the way of newness. That being said, they make for a great value given that they're the same size as the chain's regular cheese quesadilla, which normally goes for $2.89.